Richard Hessels also known as DJ Riches or the liveact AEROPHOBIA got influenced by electronic music in the late 70's/early 80's. He became a profesional graphic artist at the age of 19, and through this he became involved with the pioneering House & Techno raves in the early 90's; producing artwork & flyers for many of the biggest raves and events. In 1995 Riches founded the project AEROPHOBIA with a good friend. In the same period Riches started to play more and more as Downtempo/Chill DJ, playing countless events, from deep underground parties, legendary national music temples like Melkweg and Paradiso to massive festivals like Dance Valley & Mysteryland. 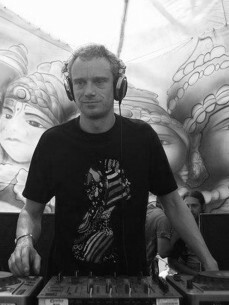 In 2000 he kicked of his career as Psytrance DJ at his own birthday event, and within a year he became one of the most frequently booked Trance DJ's in Holland. Through his close involvement with many of the major organisations, he managed to expose larger, more mainstream crowds to Psychedelic Trance at Hollands biggest Dance events, where he shared stage with DJ's like CJ Bolland, Billy Nasty & Don Diablo. Meanwhile Riches became the programmer for Trance at the major outdoor Techno event Ground Zero; and a long-lasting series of underground events in Amsterdam; Zirk Collective & Alien Vibes. Also he teamed up with his good friends Liftshift & DJ Zen to form a new concept named Aknatronix, where they pushed the upcoming Progressive Psy sound that was still in it's early days at the time.